AJP has 25 years of experience in the development of paper- and plastic-based technical products. AJP has developed the manufacture of products for the safety of people and goods while in transit. The non-slip sheets protect your cargo during transport and handling operations in warehouses. We can study your problems regarding the transport and safety of your goods in order to offer you the best solutions for your environment. 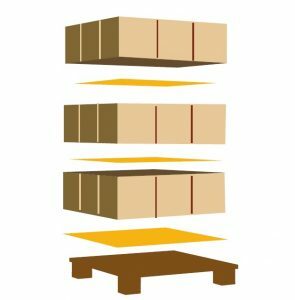 Stabilisation of goods, especially fragile products using our non-slip products is a major challenge to ensure your merchandise arrive in perfect condition. Our non-slip papers are coated with a formula developed by our research and development centre to obtain the optimum grip at a tilt angle of up to 50°. Our product range meets the new European standards that require the installation of non-slip inserts between each row of products to secure transport and prevent the tipping of goods. Our range includes standard products, in 100 and 140 g, coated on both sides, as well as all the other grades ranging from 50 g to 300 g, in reels or sheets. 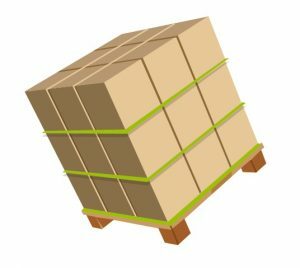 √ Safety: our non-slip inserts for pallets stabilise the goods during transit, loading and handling, thereby reducing the risk of accidents. √ Versatility: can be adapted to all types of goods (paper, plastic film, cardboard, etc.). The non-slip inserts are laid on your products (European standard pallets) and are very easy to use. √ Economical: Lower charges and packaging costs. They avoid risks of breakages or damage during storage or transit. √ Ecological: non slip paper sheets, 100 % recyclable and reusable. √ Legislation: the European Code of Good Practice regarding the securing of loads on road vehicles (chapter 3.5.1 European standards), recommends and requires the use of non-slip mats in transit. Our non-slip inserts meet European standards to protect your goods.